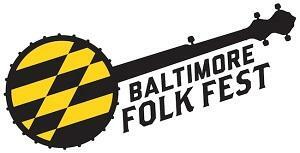 The 3rd annual Baltimore Folk Festival takes place on October 17th and 18th in the Station North Arts District, with more than twenty bands on six different stages. Signal producer Lisa Morgan brings us a preview of the upcoming modern-day hootenanny. Some people are natural-born storytellers, and Jason Tinney is one of them. Fellow writer Dave Sheinin says of him: “Tinney writes with a journalist’s eye for detail, a musician’s ear for dialogue, and a poet’s feel for the space in between what we aspire to be and what we are.” Jason Tinney’s new collection of short fiction is called, Ripple Meets the Deep, and he visits with producer Aaron Henkin. 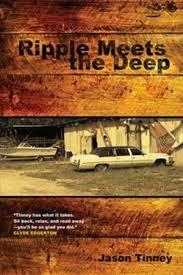 Jason Tinney on his short fiction collection, "Ripple Meets the Deep"
It’s the story of a 15-year-old girl struggling to stay safe and sane in a dystopian, alternate 2008. It’s a book for young adult readers. And it also happens to be written as an epic poem. Eric Hansen is the author of The Epic of Clair, and Signal contributor Matthew Byars brings us a profile of the writer and his unlikely literary hybrid. 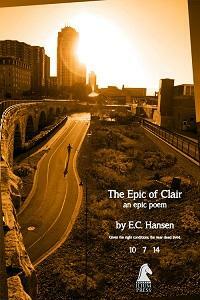 a profile of Eric Hansen and his book, "The Epic of Clair"
If you want to experience culture shock, you can, of course, travel thousands of miles to an exotic destination, or you can simply travel across the state of Maryland. Signal contributor Andrew Reiner recently packed up and moved from the DC suburbs to the small town of Myersville in Western Maryland. From that relative wilderness, our transplanted correspondent brings us this dispatch about… fragility. Andrew Reiner ponders the experience of 'in-state' culture shock.